More than just a metronome, BeatSpeak not only keeps the beat but counts the beat for you using real human voices! BeatSpeak is so easy to use - all the controls are just a finger-tap away. You can change the language as well as the gender of the voice that is spoken, so choose male or female as well as English, Japanese, French, German or Turkish! NOTE that the entry-level version doesn't provide all the capabilities that the full version does. 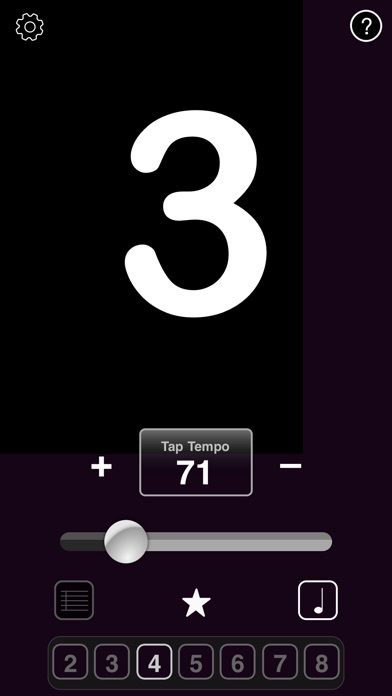 The Tempo is limited to a maximum of 80 bpm and you can save only up to 3 Favourite sets. Otherwise it's fully functional.